It was a chilly and damp morning for the free Family Fishing Day and clinic with Game & Fish. 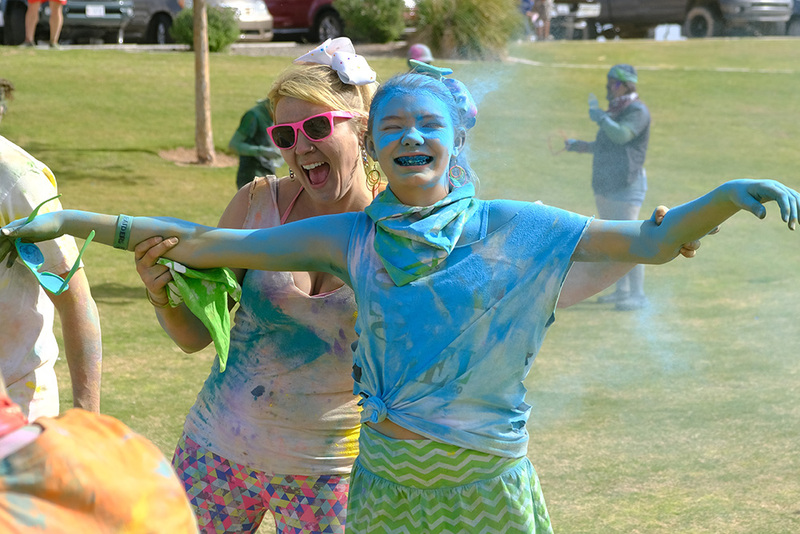 Maricopa families participated in a free fishing event at Copper Sky Regional Park last Saturday, where they could catch and keep up to four fish. 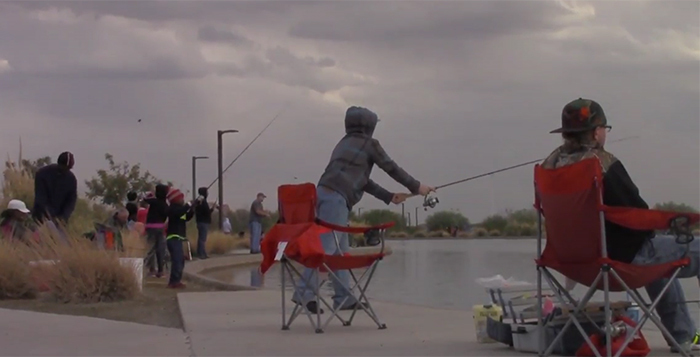 The 13th annual Maricopa Family Fishing Day was Jan. 14 and was a partnership event between the City of Maricopa and the Arizona Game & Fish Department. The department held a free fishing clinic during the event. Instructors were on-hand to teach families the basics of fishing: how to bait a hook, cast a line and reel it back in. Marci Alderman, sport fishing education program coordinator with Game & Fish, said anybody could participate, regardless of skill level. To prepare, the city stocked the lake at Copper Sky with 1,000 fish prior to the event, said Special Events Coordinator Niesha Whitman. The lake was stocked with white amur, bluegill, catfish and trout. Ten-year-old Mireyna Marez and her grandpa Ricardo Franklin participated in the event and caught a few fish.